In the 1950s, "smart" home technology was catered to women—but that home technology was designed to keep them in the kitchen, while technology for other parts of the home was geared toward men. 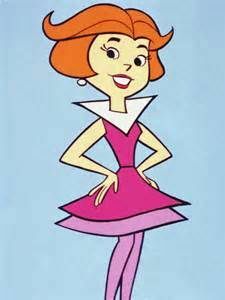 Microwaves, blenders, and vacuums wanted to give women more time to keep up with their household chores while still being able to look like Jane Jetson. However, often, as has been extensively researched, much of this early smart home technology created more work, primarily for women. Meanwhile, men got to have visions of jet packs and robots while the “dirty work” was magically done. Now, there is much greater balance in the home and with smart technology. Certainly, no one would say that a smart phone or device was particularly gendered, for example. Millennial women more than any other group are eager to utilize smart technology and make their homes smart homes. Millennials in general are more likely to spend money—and lots of it—on smart technology, especially in the home, where the previous two generations were more likely to skimp on those amenities and spend their money on their car. Nowadays, people 35 and under want to personalize their homes with their smart technology, in both function and form. Where is the technology for women? It’s there—but the smart technology is often not marketed to women. The marketing of the smart home to bachelors goes back to even the days of Rock Hudson in Pillow Talk. Now, though the instant-home-readiness features are available, they’re marketed to be less sleazy. However, many smart home ads target “technology dads.” Even characters on a popular TV show perpetuate the stereotype that dads like smart home technology, while moms can’t figure it out and have to do things the old-fashioned way. The women’s magazine Cosmopolitan, among others, has recommendations for smart technology that can be used by either men or women—but are getting the word out to the women that gadgets such as the Duracell Power Mat charger, the Peugeot Elis Rechargeable Electric Corkscrew, Voomote Universal Remote Controller, and the Koala Mount are as much for them as smart notification necklaces and rings set to vibrate when your phone or device receives a priority message or high fashion headphones. In the annual survey taken by Better Homes and Gardens, the research this year revealed that smart technology use was increasing especially among women. Women are making up much more of the work force—and buying force, and still represent the biggest population of buyers for a household. It’s great to have smart refrigerators tell you how many beers are in the fridge or what items to add to your shopping list—but when the ads for smart refrigerators market to a predominantly male audience, they’re potentially halving their number of customers. And while Millennial women may be used to smart technology and see past the marketing, older generations who grew up thinking smart technology was for men are losing out on the opportunity to make their lives easier with many of these tech solutions. We know grandmas can figure out the iPad and even apps such as FaceTime—there’s no reason they can’t learn to use their iPad to operate their lights and temperature control, making their lives much simpler with smart home technology, especially if their mobility becomes limited. Despite the progress, there is still a gap. Smart device tools such as Siri or certain health apps have not been designed to recognize emergencies and health concerns that target primarily women. Women gamers are no strangers to this phenomenon, as up to 80% of character options available are male, and most of those are free, while the fewer female character options almost always cost money in an upgrade. (In an extreme case of this disparity, an artificial heart made in France is too big to fit the chest of 80% of women—and the company says it’s too expensive to design a smaller model.) Samsung, however, has been one of the first to acknowledge this disparity and has said they would work on updates, especially with their S Voice tool. In some places in the world, making smart technology such as smart phones with cameras available to women has become a boost to the human rights movement. Here, we can take much more for granted. But with more women living alone or being heads of households, it’s time that smart technology steps ups its game and helps open up a new world. Great strides still need to be made, but there is plenty of smart technology available to all users—they just need to know it’s there. At Modern Home Systems, we like to help you personalize your life with smart technology, whatever your age or gender, and we have plenty of options to help you entertain or make your life easier. Visit us at www.modernhomesystems.com or stop by our showroom at 7007 Carroll Rd, San Diego CA 92121 and our Apple Boutique at16081 San Dieguito Rd “G2,” Rancho Santa Fe CA 92091.